“An asteroid named Florence that will safely sweep past Earth on Sept. 1 is the largest object to give our planet a close shave since NASA began tracking these types of near-Earth asteroids, an agency official said. The space rock measures 2.7 miles (4.4 kilometers) across. It will pass by Earth at a safe distance of 4.4 million miles (7 million kilometers), or nearly 18 times the distance between Earth and the moon. 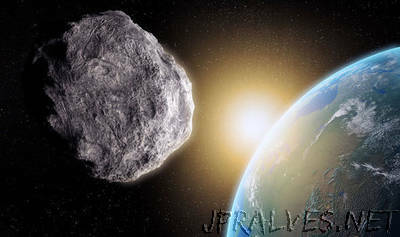 “While many known asteroids have passed by closer to Earth than Florence will on September 1, all of those were estimated to be smaller,” Paul Chodas, manager of NASA’s Center for Near-Earth Object Studies (CNEOS) at the agency’s Jet Propulsion Laboratory in Pasadena, California, said in a statement. As asteroid Florence passes by Earth, astronomers will take the opportunity to capture radar images to learn more about the asteroid’s exact size and detailed surface features. The asteroid is named after Florence Nightingale, the founder of modern nursing.